• These binders are the eco-consious alternative to a vinyl binder. • Printed with low VOC-emitting, renewable vegetable-based inks by request. • The Eco Binders are a cost-effective solution. • The Eco-Binders are a perfect way to "green up" your presentations. • Flexible 26pt. chipboard or rigid options are all durable, lasting longer, thus reducing costs for replacement. 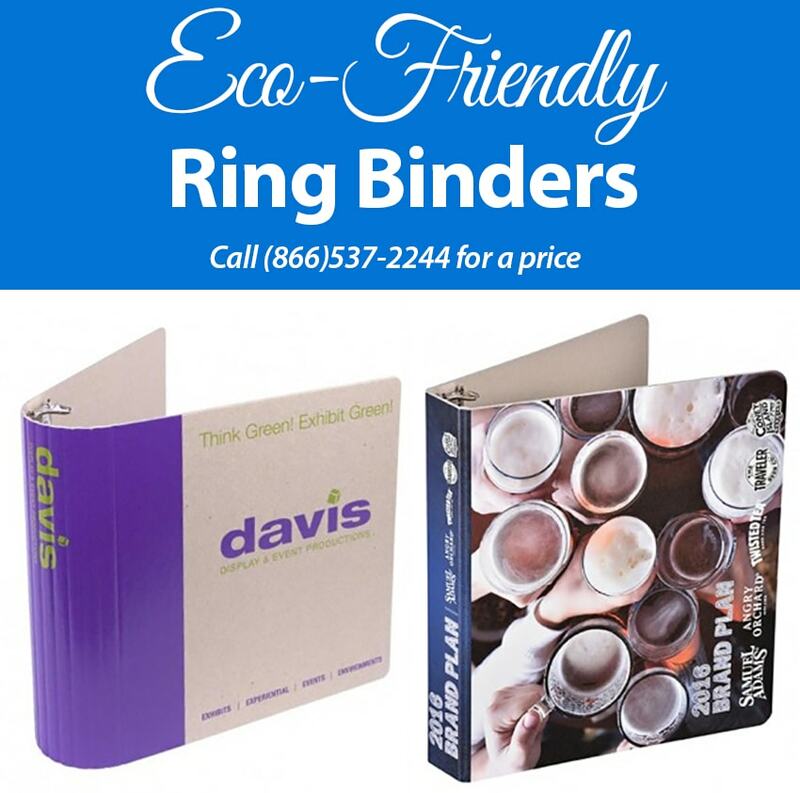 • These binders will appeal to your "green-minded" clients. • Inside Pockets: Flexible option has two, 4" high, open center pockets. Rigid do not come with pockets.